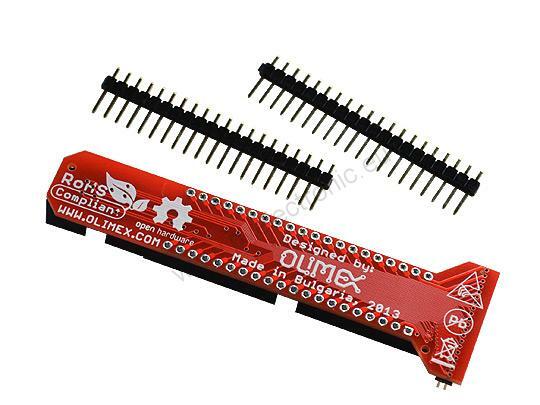 10-OLinuXino-LIME-UEXT is GPIO adapter which make A10-OLinuXino-LIME GPIOs available in Breadboard friendly 0.1" step connectors. You must purchase CABLE-40-40-10 0.05" step IDC cable to may connect A10-OLinuXino-LIME-UEXT to A10-OLinuXino-LIME. 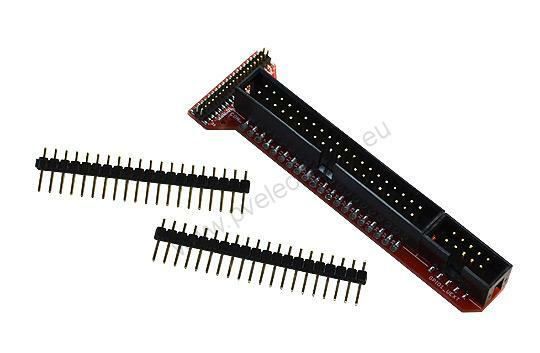 When connected to GPIO1 A10-OLinuXino-LIME-UEXT will also have UEXT functionality, on the other connector it's simple adapter. A10-OLinuXino-LIME-UEXT can be used also as cross cable from LIME to LCD displays, for this purpose use LCD-CONN on A10-OLinuXino-LIME. It's proven to work with A13-LCD43TS, A13-LCD7-TS, A13-LCD10TS but will not work reliable with A20-LCD15.6 LVDS.